Sogogi-gukbap, also called jang-gukbap*, is a spicy beef soup served with rice that is a favorite especially in traditional Korean markets. Korean traditional markets are equivalent of today’s farmers markets that were usually held every five days. The first time I remember eating sogogi-gukbap was when my family first moved to Seoul from Chicago when I was six years old. My parents took me to Minsok-chon* (민속촌, Korean Folk Village) to introduce me to the traditional ways of Korean life in the chosun dynasty. I remember it was a cold winter day, just like it is nowadays, and we ate a hot bowl of spicy rice soup outdoors as it was traditionally done. 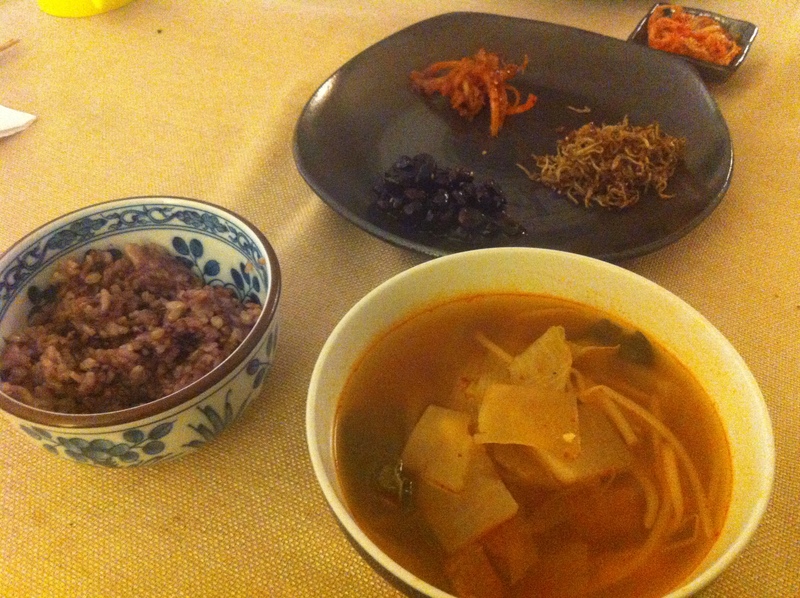 It was the best meal I had ever had despite the freezing weather. 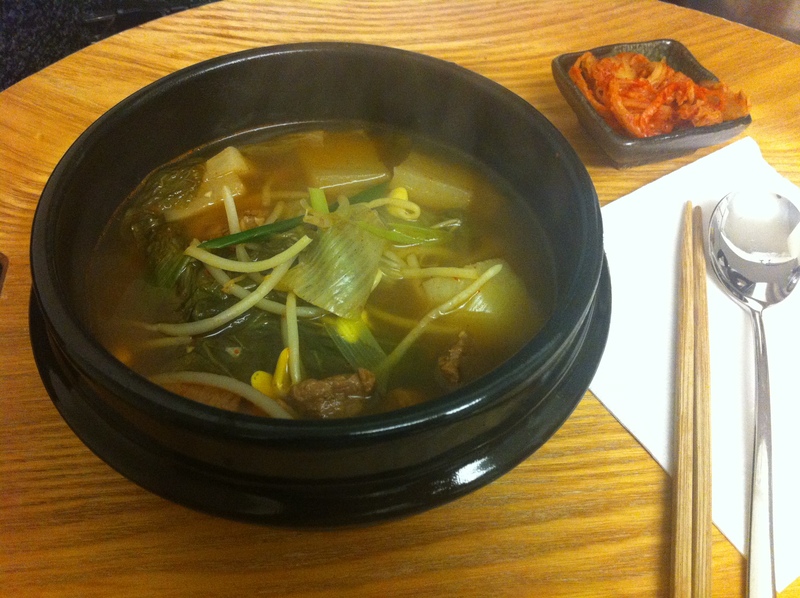 Ever since that day, sogogi-gukbap always warms my body and heart. 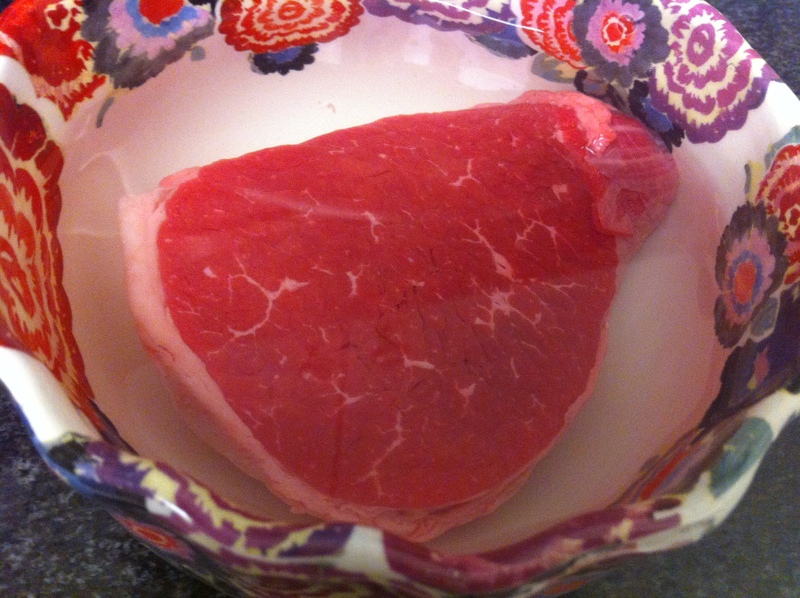 Soak the beef in a bowl of cold water for about 30 minutes. You can skip this stage but this helps get a cleaner broth taste. Bring about 6 cups of water to a boil with a pinch of salt. 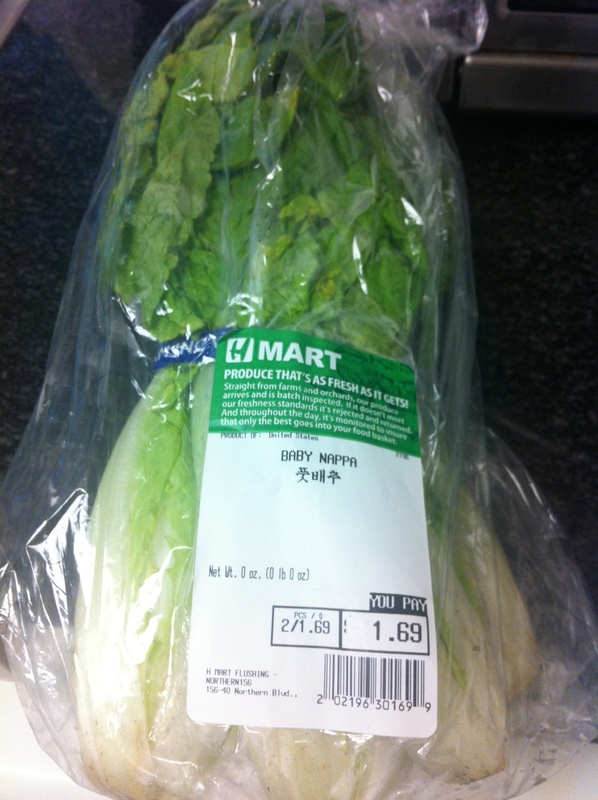 Blanch the napa cabbage leaves by placing them stem down first in the boiling water. When the leaves are soft, rinse them in cold water a few times. 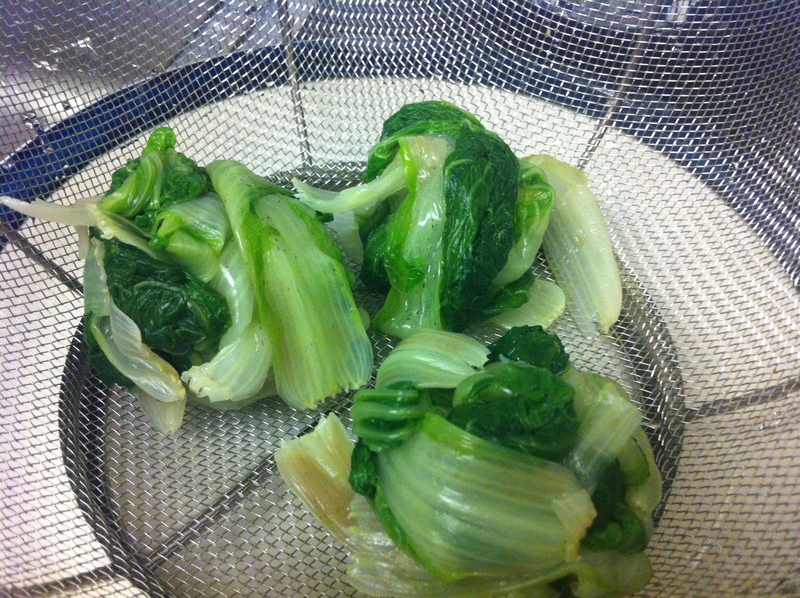 Drain the water and squeeze cooked cabbage leaves between your palms to take out the remaining water. 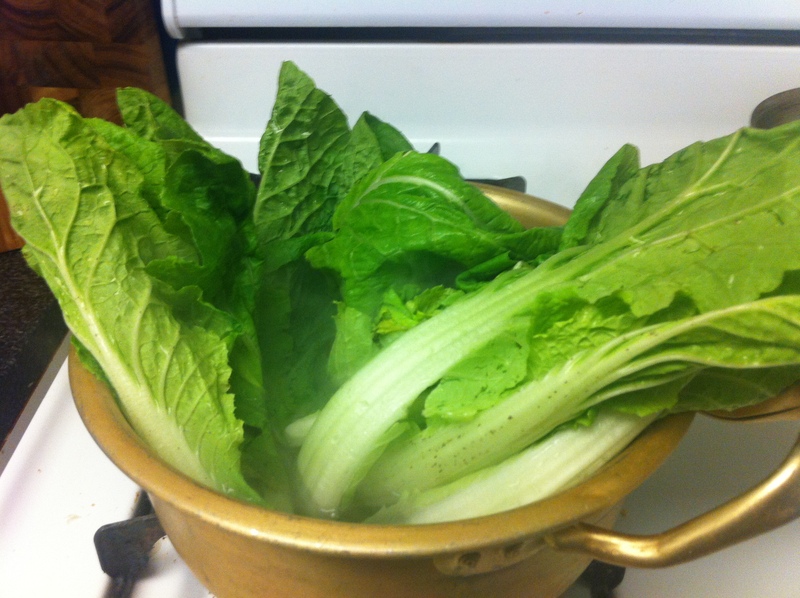 This blanched cabbage leaves are called woogeoji (우거지). 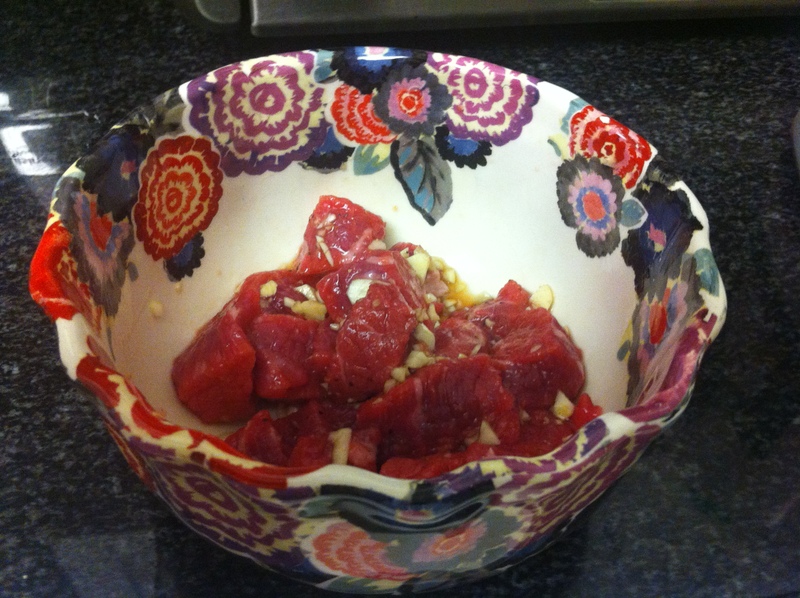 Cut the beef into bite size pieces and mix it with the beef marinade. Cut the moo into thin 1 inch squares. Heat a pot on medium-high heat, drizzle a tablespoon of sesame oil. Sauté the marinated meat for about a minute. Add the moo and sauté it with the meat for about another 3 minutes. Sprinkle 1-2 tablespoons of gochugaru. My husband doesn’t like it too spicy, so I used only 1 1/2 tablespoons of gochgaru. Stir for about another minute. Pour 6 cups of water and add the dashima and raise the heat to high. When the water boils, take out the dashima. Lower the heat to medium and let the soup simmer for at least 20 minutes. 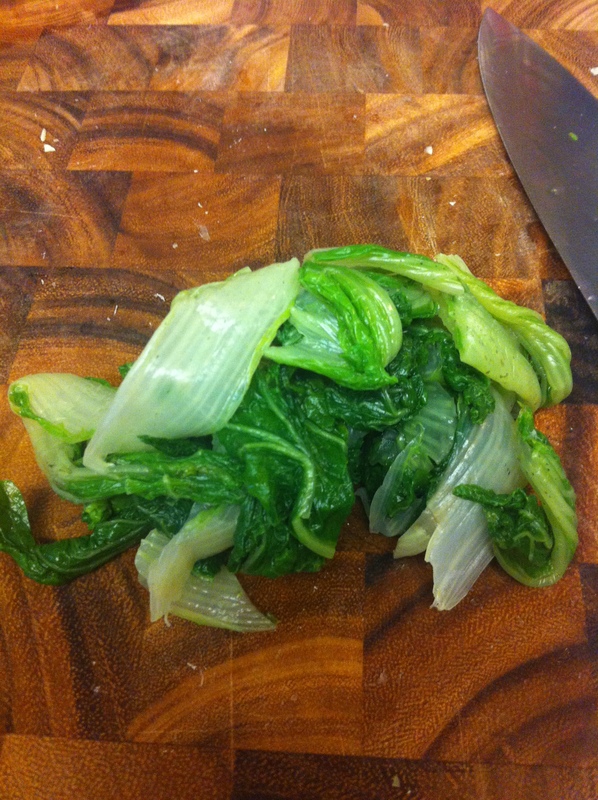 Cut the blanched cabbage a few times so it is easy to eat. I used baby napa cabbages and only had to cut it across once. 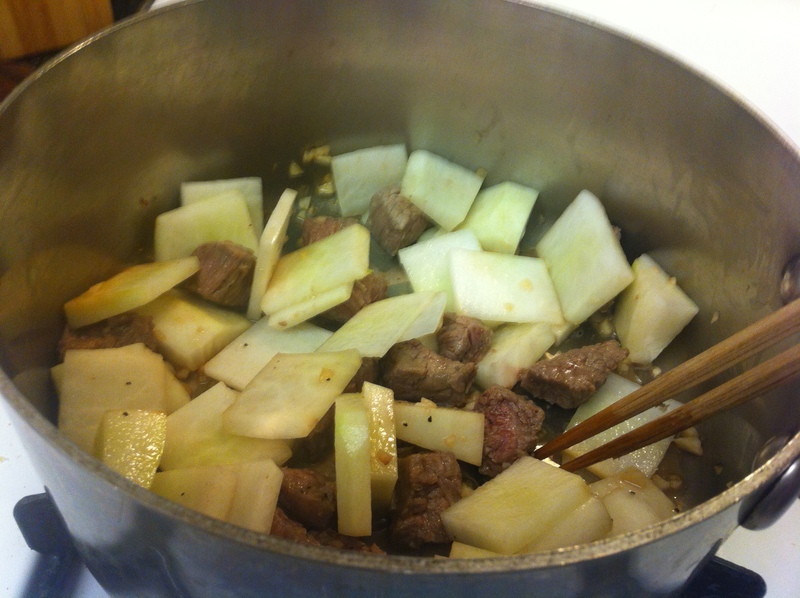 Add the garlic, gukganjang, cabbage, soybean sprouts and scallions. Cover with a lid immediately. The soybean sprouts have to be cooked with the lid covered to prevent an unpleasant taste. You can also add a little more gochugaru and/or even some thinly cut hot peppers if you want it extra spicy. After about another 10 minutes, taste and add a pinch of black pepper and salt if needed. 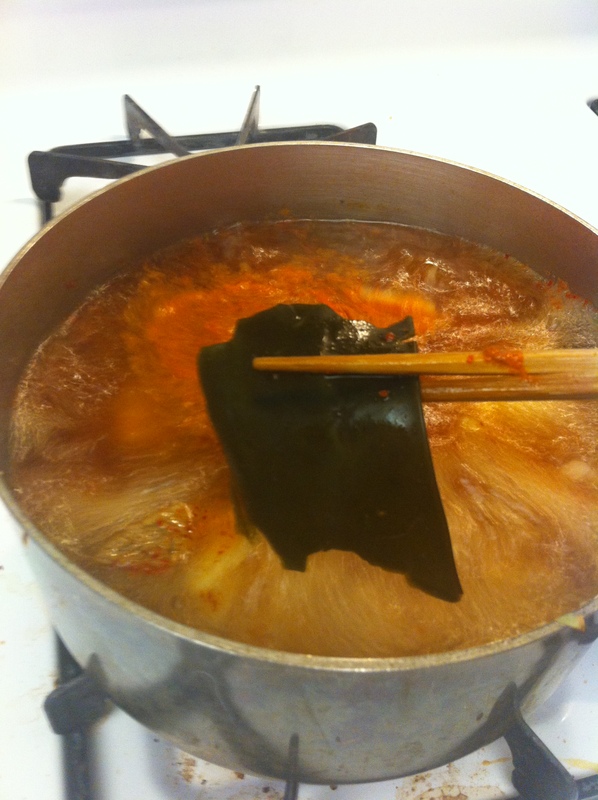 You can also use about a tablespoon of fish sauce to salt the soup if you like. 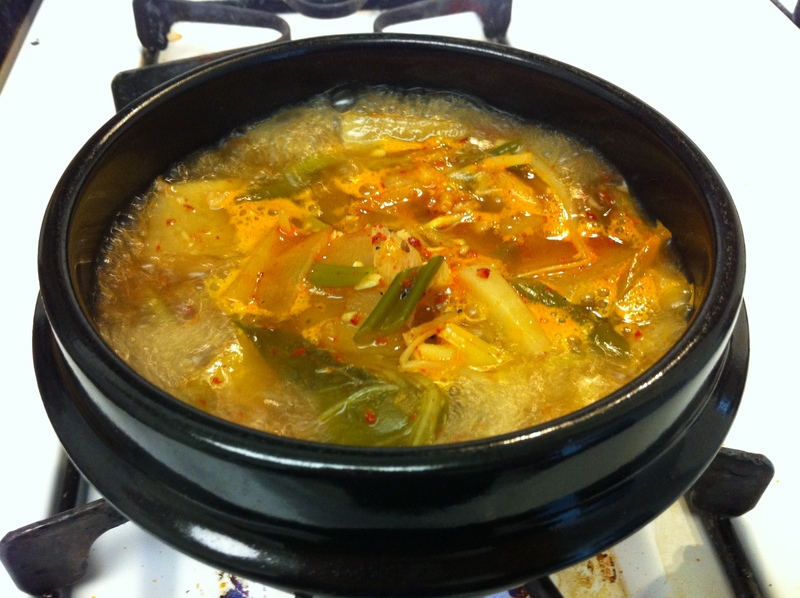 Serve it in a Korean earthenware bowl, ttuckbaegi (뚝배기), with the rice on bottom and soup poured over. If you serve it this way, heat the bowl with the rice and soup on high heat once more until it’s bubbling. You can also serve the soup and rice separately. 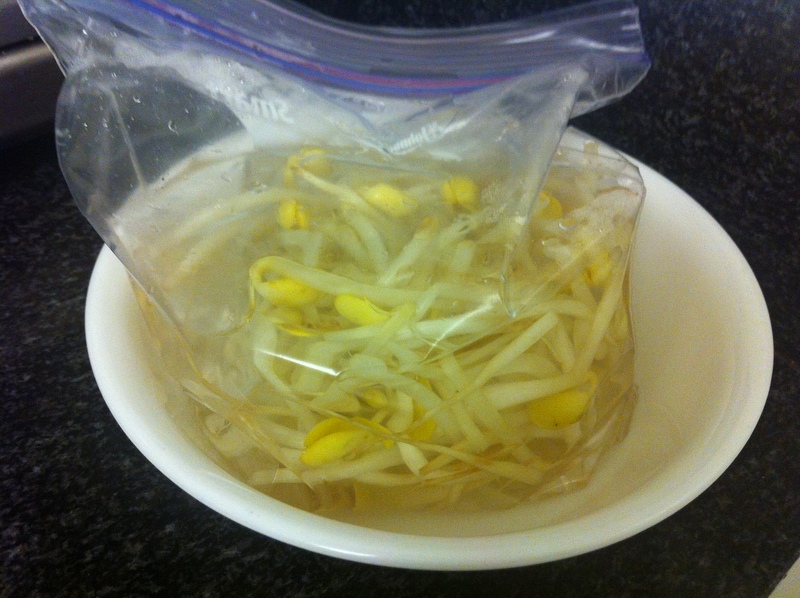 If I have unused kongnamul (soybean sprouts), I store them in a Ziploc bag with water enough to almost cover the soybean sprouts. Keep some air in when closing the Ziploc bag. Change the water every day or at least every other day. This helps keep the soybean sprouts longer in the refrigerator. If you have leftover blanched cabbage leaves, wrap them individually in plastic wrap, put them in a Ziploc bag and store them in the freezer. 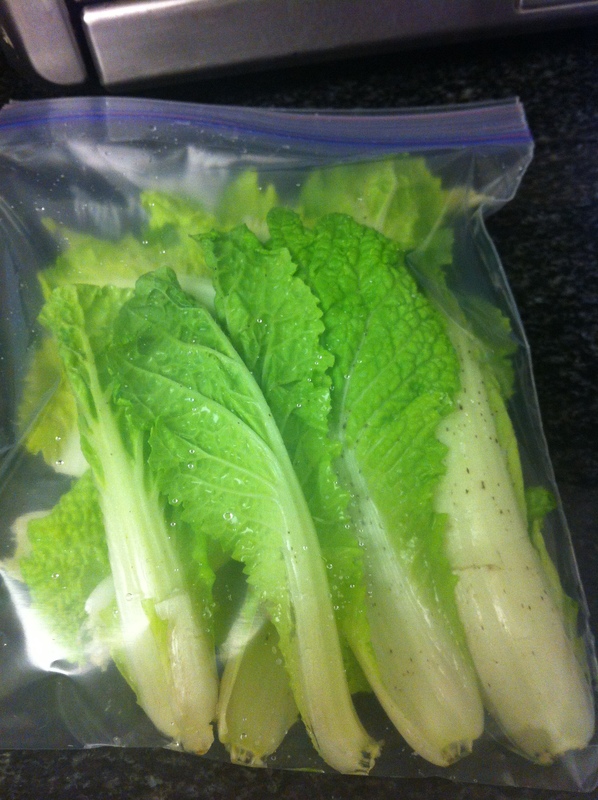 I used only the larger leaves of the baby napa cabbages and saved the smaller leaves in a Ziploc bag for a salad. This entry was posted in Good for dinner, Good for lunch, Soup/Stew (국/탕/찌게) and tagged Beef, Moo, Ttuckbaegi by gangnamkitchen. Bookmark the permalink.